Salvador Dali was a Spanish painter who was an advocate of surrealism. 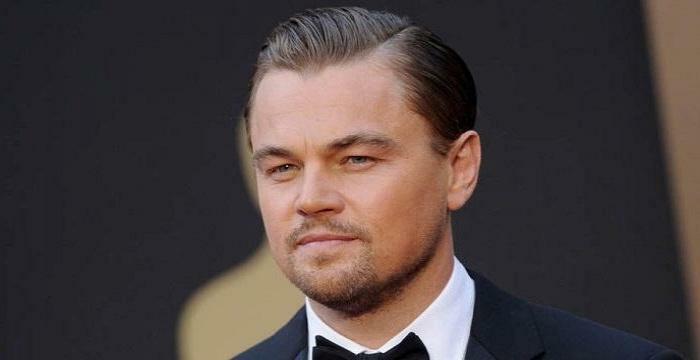 Read this biography to know more about his life. Dali was born as Salvador Doménec Felip Jacint Dalí i Domènech on 11 May 1904 in Figueres town which was located closely to the French border in Catalonia, Spain. Salavador Dali was born to father Salvador Dalí i Cusí, a middle-class lawyer and notary and mother Felipa Domenech Ferrés who had encouraged Dali greatly in his artistic pursuits. At the age of 5, Dali was taken to his brother’s grave and told by his parents that he was a reincarnated image of his brother’s which Dali soon started believing. Dali went to a drawing school. In 1916 Dali made a summer trip to Cadaqués with the family of Ramon Pichot, a local artist who made regular trips to Paris, and was greatly inspired by modern painting. In 1917 Dali’s father organized an exhibition that featured Dali’s charcoal drawings and the show was held in their family home. It was not before 1919 that Dali held his very first public art exhibition at the Municipal Theater in Figueres. Dali was 16 years old when he lost his mother in February 1921 when she died after suffering from breast cancer. In his later years Dali had expressed his grief saying his mother’s death, “was the greatest blow I had experienced in my life. I worshipped her... I could not resign myself to the loss of a being on whom I counted to make invisible the unavoidable blemishes of my soul”. With Dali’s mother dead his father married his deceased wife's sister. Dali was not against this marriage as he loved and respected his aunt very much. In 1922 Dali shifted into the Residencia de Estudiantes (Students' Residence) in Madrid to pursue his studies at the Academia de San Fernando (School of Fine Arts). Dali soon got much attention for his outrageously fashionable dressing sense and his eccentric behaviour. In his college He was known to wear long hair with sideburns, coat, stockings, and knee breeches in English style of the late 19th century. While staying at the Students’ residence Dali became friends with Pepín Bello, Luis Buñuel, and Federico García Lorca. Dali shared a closer friendship with Lorca who had made sexual advances on Dali which the latter soon rejected. Dali got maximum attention from his fellow classmates for his paintings that mostly concentrated on Cubism art form. Dali had no direct contact with any cubist artist but his only source of information about Cubist art came from magazine articles and a catalogue given to him by Pichot, since there were no Cubist artists in Madrid at the time. Initially Dali did not have full knowledge about cubist art. In 1924 Dali did his first illustration of a book. He was an unknown artist at this time. In 1926 Dali got expelled from his Art College for making a statement that there was no one so competent as to examine him and his work. In 1926 itself Dali produced his brilliant artwork, ‘Basket of Bread’ which upheld his highest mastery of painting. Again in 1926 Dali made another move by moving to Paris, where he met with Pablo Picasso (a pioneer of Cubism), whom the young Dalí revered. Many of Dali’s work bore heavy influences from Picasso and Joan Miró. 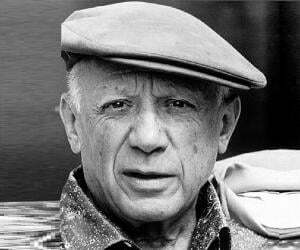 Picasso heard a lot about Dali and his artistry and with time Dali grew his own form of art. Dali’s art form was extremely mixed and had a classic style. He drew influences from various forms of art and his classical influences included works of Raphael, Bronzino, Francisco de Zurbaran, Vermeer, and Velázquez. At times Dali combined classical and modernist techniques and at some other time he used these techniques separately in his paintings. Dali grew a moustache in the 1920s which went on to become iconic. 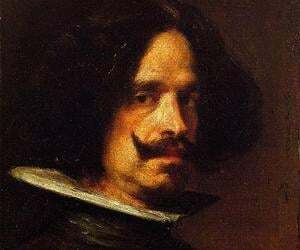 His moustache was influenced by seventeenth-century Spanish master painter Diego Velázquez which he kept throughout life and it became his trademark style. In 1929 he went into collaboration with surrealist film director Luis Buñuel to bring out the short film Un Chien Andalou (An Andalusian Dog). The film’s script was greatly contributed by Dali who also claimed to have helped Buñuel with the filming of the project. In August 1929 Dali met his future wife, Elena Ivanovna Diakonova who was the artist’s inspiration and was better known as Gala. 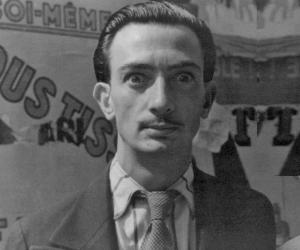 In 1929 Dali got involved with his several significant exhibitions and he also became an official member of the Surrealist group in the Montparnasse quarter of Paris. Dali became famous with most Surrealists hailing him as a great artist for his tremendous efforts in the paranoiac-critical method of accessing the subconscious for greater artistic creativity. 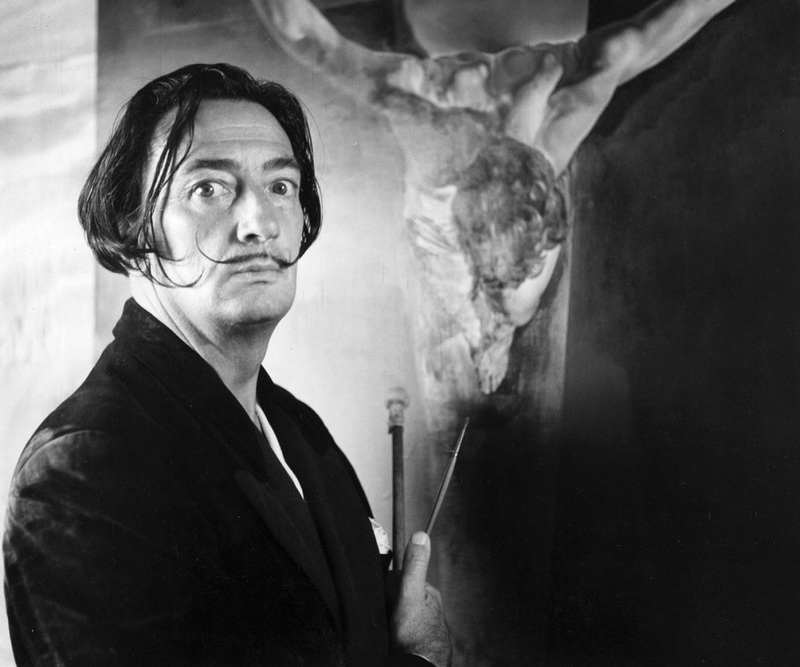 Dali’s growing dissent with his father (relating to Dali’s affair with Gala and an exhibition featuring Dali’s drawing of the “Sacred Heart of Jesus Christ” where he had inscribed “Sometimes, I spit for fun on my mother's portrait” which enraged him completely) led him to be thrown out of his paternal home on 28 December 1929. Dali’s father threatened him of disowning from all paternal inheritance and Dali was left with no other option but rent a small fisherman's cabin in a nearby bay at Port Lligat to start living with Gala. Much later Dali bought out the place and extended it into a villa close by the sea. In 1931, Dalí painted one of his most famous works “The Persistence of Memory” which reflected the core of surrealism - soft, melting pocket watches for the first time. Dalio and Gala married in 1934 at a civil ceremony after living together for several years since 1929. In 1934 Dali got introduced to USA by Julian Levy, an art dealer. His work “The Persistence of Memory” got instant fame and he became a popular figure and attended various balls and parties. Dali attended a masquerade party in New York, hosted for them by heiress Caresse Crosby in 1934. It was during 1934 that Surrealsits started becoming hugely leftist and Dali rejected becoming a part of the relationship drawn between art and politics. For this position Dali was accused of defending the “new” and “irrational” in “the Hitler phenomenon” by a prominent surrealist, André Breton which was quickly denied by Dali who stated, “I am Hitlerian neither in fact nor intention”. Dali publicly adhered to surrealism (he had always been a great supporter and adherer of surrealism) but at the same time he did not denounce fascism which vexed the surrealists and Dali fell into trouble with his colleagues. In late 1934 Dali faced a trial which formally expelled him from the Surrealist group to which he stated, “I myself am surrealism”. In 1936 Dali participated in the London International Surrealist Exhibition where he lectured his Fantomes paranoiaques authentiques wearing a deep-sea diving suit and helmet. Dali had come to the exhibition carrying a billiard cue and leading a pair of Russian wolfhounds and his helmet was unscrewed when he had gasped for breath before commenting on the act that, “I just wanted to show that I was 'plunging deeply' into the human mind”. During 1936 Dali was helped greatly by his London based patron, Edward James who was very rich and had purchased several works of Dali. In 1938 Dali met Sigmund Freud with the help of Stefan Zweig. In late September 1938, Salvador Dalí was invited by Gabrielle Coco Chanel to her house La Pausa in Roquebrune. 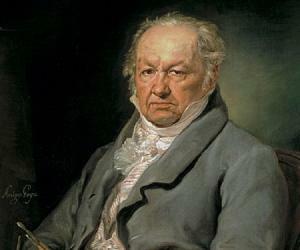 He painted several paintings there which he later exhibited at Julien Levy Gallery in New York. In 1939 Dali faced an insult in the hands of Breton who coined the term “Avida Dollars” which was an anagram for Salvador Dalí, and a phonetic rendering of the French avide à dollars, which when translated comes as "eager for dollars". This was a direct derision for Dali as his works were pointed as commercial works. It was being perceived that Dali wanted all the fame and fortune and there were surrealists who started speaking about Dali as if he was dead. During 1940 World War II had swept the whole of Europe and Dali moved to the United States along with his wife Gala living there for 8 years. In 1941, Dalí made a film draft for Jean Gabin named “Moontide”. In 1942 Dalí published his autobiography, “The Secret Life of Salvador Dalí”. He wrote several catalogs for his exhibitions one of which is the notable exhibition at Knoedler Gallery in New York in 1943. In 1944 Dali wrote a novel about a fashion salon for automobiles. Dali started living in his much loved Catalonia from the beginning of 1949. Dali’s later works were rejected by some Surrealists and art critics on solely political grounds. In 1959, André Breton organized an exhibition that was named “Homage to Surrealism” which featured the works of Dalí, Joan Miró, Enrique Tábara, and Eugenio Granell as a celebration of the fortieth anniversary of Surrealism. Dali’s post war works were mostly on technical virtuosity, optical illusions, science, and religion. Dali’s notable works during this period are, The Madonna of Port-Lligat" (first version) (1949) and “Corpus Hypercubus” (1954), “La Gare de Perpignan” (1965) and “The Hallucinogenic Toreador” (1968–70). In 1960, Dalí began working on the Dalí Theatre and Museum in his home town of Figueres which was possibly his largest single project and the main focus of his energy throughout 1974. He made additions throughout the mid-1980s. In 1968 Dalí filmed a humorous television advertisement for Lanvin chocolates which he claimed in French "Je suis fou de chocolat Lanvin!" (I'm crazy about Lanvin chocolate). In 1969 Dali designed the Chupa Chups logo. In 1969 itself he was contributed in creating the advertising aspect of the 1969 Eurovision Song Contest for which he made a large metal sculpture that stood on the stage at the Teatro Real in Madrid. Dali worked on several sculptures and other objects and he also contributed massively to theatre, fashion, and photography, among his other areas of interest. From the period between 1941 and 1970, Dalí created an ensemble of 39 jewels which were brilliantly intricate artworks. The most famous jewel “The Royal Heart” was made out of gold and encrusted with 46 rubies, 42 diamonds, and four emeralds which were made in such a manner as the centre had heart beat like feature much like the real heart. Dali contributed greatly in creating the scenario for the theatre production of Federico García Lorca's 1927 romantic play Mariana Pineda. Dali had been interested in films since his childhood. 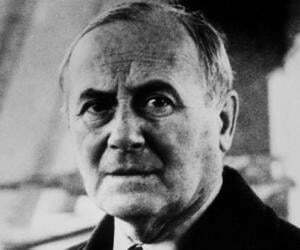 He is credited for being the co-creator of Luis Buñuel's surrealist film Un Chien Andalou, a 17-minute French art film co-written with Luis Buñuel. Dali also worked with many other filmmakers which include Alfred Hitchcock for whom Dali created the dream sequence in the film “Spellbound”. He also worked on the Disney short film production “Destino”. In 1975 Dali completed working on the film, “Impressions of Upper Mongolia” where Dali narrated a story about an expedition in search of giant hallucinogenic mushrooms. The imagery of the film was based on microscopic uric acid stains on the brass band of a ballpoint pen on which Dalí had been urinating for several weeks. Dali’s wife Gala died on 10 June 1982 after which Dali had no desire to live. It was in November 1988 that Dali was admitted to the hospital after heart failure. On 5 December Dali died. In August Dali met his future wife, Elena Ivanovna Diakonova who was the artist’s inspiration and was better known as Gala. Dalí painted one of his most famous works “The Persistence of Memory” which reflected the core of surrealism soft, melting pocket watches for the first time. Dali was helped greatly by his London based patron, Edward James who was very rich and had purchased several works of Dali. Dali met Sigmund Freud with the help of Stefan Zweig. Dalí published his autobiography, “The Secret Life of Salvador Dalí”. Dalí filmed a humorous television advertisement for Lanvin chocolates which he claimed in French "Je suis fou de chocolat Lanvin!" (I'm crazy about Lanvin chocolate).